Johnson's Baby Soap - 175 g | Multicolour | Helps to keep baby skin smooth and soft. 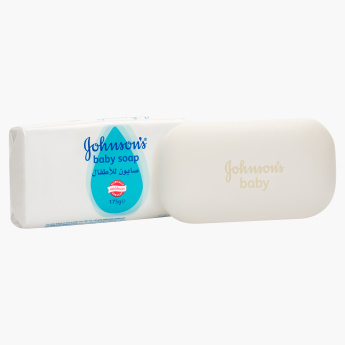 Pamper your baby using this mild baby soap which is phthalate free and allergy tested. This soap helps to keep your baby's skin smooth and soft and also protects the skin from dryness while keeping it moisturized for long.